Yeah, that's the bad part about playing a 2 hour gig and having your hands sweat. Just joshing ya...I wouldnt know anything about 2hour gigs, I play in my living room to my dog most times lol. Not too sure from only one photo if I like it or not. Can you do a side-by-side pic with the previous & that one? here's some comparison shots of an old 6'er and the new one. The difference is subtle, but I like the new, deeper cuts a little better. 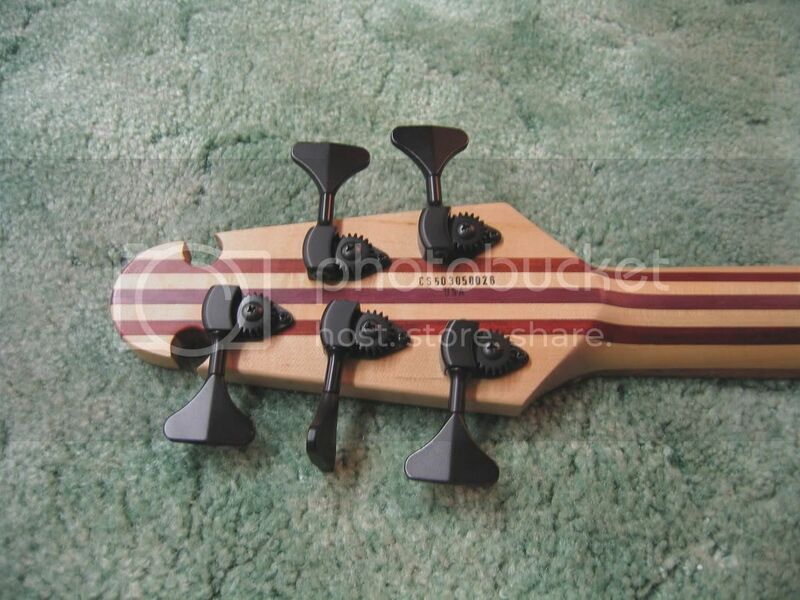 And it always seems weird now when I hear someone make a negative comment about Pete's headstocks. I was also wary of one before I saw it in person, but to me, they look great and fit the body shape quite well. But again, I was a skeptic before seeing them firsthand. 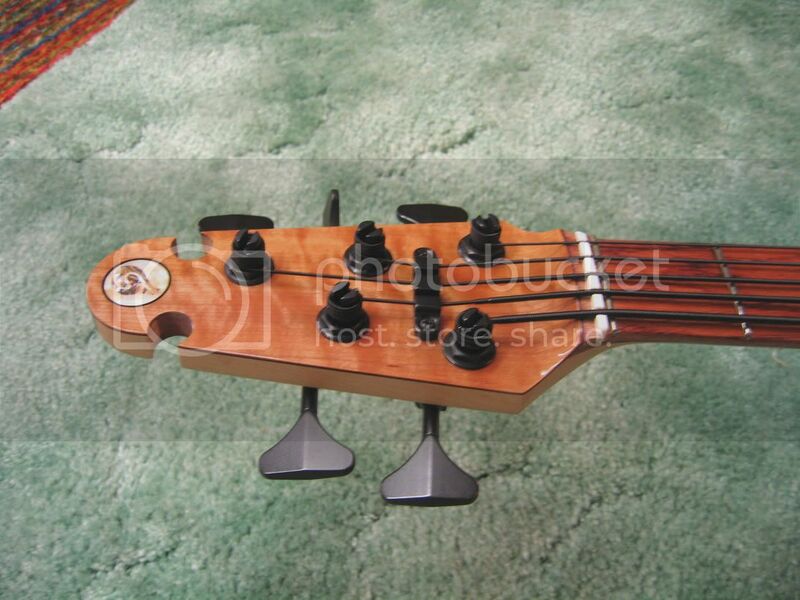 Oh, and I must say that this bass is really hawt!!! It is subtle, yet it accentuates the headstock shape even more. I'm sure Pete has covered this but I wonder if more mass at the zero fret/nut headstock isn't a good (better?) thing? I'm thinking of all the Gibson's I've seen with busted headstock/neck joints. Don't mean to be negative, and the new one doesn't look thin. I'm just wondering. BTW - Tom I second your emotion on that bass. Ever since I saw a Fodera and then an MTD with mahogany body and flamed redowood top I've been jonesin'! Well you may have the deeper cuts Tom, but some things yall maybe didnt pick up on is how everything is rounded over now and has a bevel. You can see it in the close up shots I did. All the old ones had a square edge on them, and I think the rounding over here, in the neck pocket gap, and the pickup routes, really make the bass look a lot more "finished". It adds that smooth quality that the older ones did not in my opinion. I think I see what you are talking about. It is hard to tell via a photo, though. My guess is that it will be more obvious in person. Sweet! I thought it might be!